Many small businesses and internet entrepreneurs are looking for a way to start blogging - but without spending much money. In this article, you will learn about the top five best free blogging platforms. Free Blog Warning: There is a drawback to using a free blogging platform. You have very limited control of your content and it can be hard to download or export should you decide to switch to a self-hosted blogging platform. It is important to decide which is more important: price or flexibility. Another huge consideration is whether you are starting a blog to make money online. If you plan on having a blog with commercial intent, many free blogging platforms restrict that or are not flexible enough to support all the tools you'll need to market and sell online. The world's most popular blogging platform, WordPress offers a free and premium platform. Learn the difference between WordPress.org and WordPress.com. Visit WordPress.com and setup your free account. You'll need to give some thought to your domain name. If you choose to use the completely free version, your site URL will look like this: yourdomain.wordpress.com. This is an important part of your brand and you should give considerable thought when choosing your domain name. Once you have your blog up and running you'll want to start driving traffic to it. Here are 5 ways to drive massive amounts of traffic to your new blog. Again, if you have any commercial intent or are looking to make money with your blog you'll want to go with the self-hosted WordPress.org solution. Visit Blogger.com and setup your free account. If you already have a Google account (Gmail, YouTube, etc) it is best to use that account and link them together. Visit Tumblr.com and setup your free account. 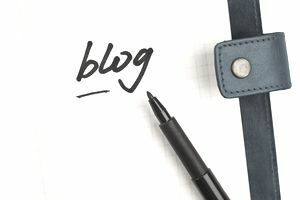 Click "Sign-Up" to start your blog. It would be best to spend some time learning how the site works. It is part blogging platform and part social media network, and it is different from any other that I've seen. If you do decide to use Tumblr for your blog, I would still recommend using a separate website for your main business pages, products, etc. Basically you'll have your own website to handle the business end of your web presence and use the Tumblr blog as a traffic source to your main website. Visit Blog.com and click "Sign In". It really is that simple. Then choose your design and general settings. A great option for a nice looking functional blog. Similar to Tumblr, I wouldn't necessarily recommend using Medium as your primary place of business online, but would consider using it as a traffic source; blogging to reach new audience that wouldn't know of you otherwise -- and drive them back to your website. While this article focused on the most popular / newest blogging platforms, there are literally hundreds if not thousand of options to choose from. These days there is little difference between a "regular website" and a blog so you may find that you don't necessarily need a separate solution for a blog vs website.